Emma Martin (left), Dr. Jennifer Bouldin (middle), Amber Spence (right). This is A-State Connections on KASU. I’m Johnathan Reaves. 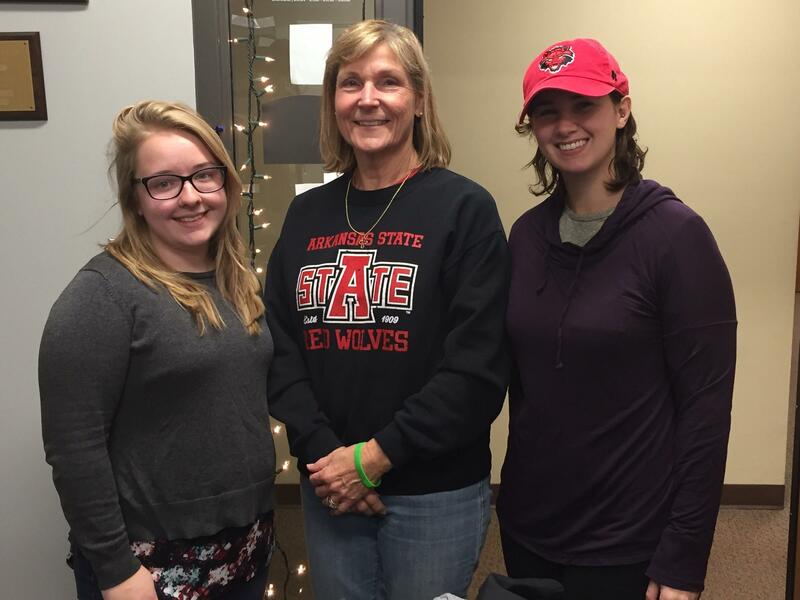 This is the weekly segment called “A-State Connections and Create@State: Making Connections That Count”. In this interview, I talked to Dr. Jennifer Bouldin and graduate students Emma Martin and Amber Spence. Dr. Bouldin is the Director of the Ecotoxicology Research Facility and is Professor of Environmental Biology at Arkansas State University. Bouldin talks about the research. Click on the Listen button for the entire interview. To hear more interviews like this one, you can subscribe to the Create@ State Podcast at the Create@State podcast page on KASU.org. It is also available on iTunes or Google Play, or you can listen on the NPR app. Please tell others about the Create@State Podcast, also leave us a review. We would love to hear from you.